Investment advisors are often quick to state that data on past performance is no guarantee of future results. It is, however, still relevant to include historical data when analyzing assets and making forecasts in any financial market. The future remains uncertain, and since few investors have access to a crystal ball, data on past performance remains an integral part of the information needed for decision making in the world of investment. The use of financial data for investment decisions means it is imperative that the data investors rely on paints an accurate picture of the markets in question. Unfortunately, this is not the case as the average investor in most markets does not have timely access to reliable data to allow well-informed decisions in the markets. On the brighter side, the advent of blockchain technology makes it possible to record and track financial data without forged figures. In the future, the combination of blockchain technology and data aggregation will place the investor in a more advantageous position when it comes to making decisions in the markets. The absence of meaningful investment data is a more significant issue in newer markets, and in the cryptocurrency market there are widely reported cases of wash trading and manufactured transaction volume on a startling number of exchanges. In cases such as these, it becomes virtually impossible to use trading volume to judge the general interest in a particular crypto asset. Few crypto-whales or even exchanges make a stand without trading fees, and they could be engaged in wash-trading which often leads to price manipulation and exaggerated trading volume. When the exchanges are not qualified the information can means that a cryptocurrency asset with very little active inflow from investors could have a large market cap nonetheless. The absence of meaningful data to use as input for investment decisions makes crypto investing more like gambling, and some potential investors in such markets are merely put off by the lack of reliable data and outright manipulation. Traditional markets like venture capitalism, equities, and real estate are also far from perfect. Financial data for these markets tend to cover the performance of assets over set periods and the time it takes compile performance reports means that investors do not have real-time data which could help them make time-sensitive decisions. A more comprehensive approach would be to include all capital inflows and outflows from each sector invested in an asset as well as the corresponding dates. Ideally, this data should also be linked to and compared against general market sentiment, media events and other relevant factors. Investors are usually the primary end-users of aggregated financial data from providers like Finicity, Quovo, MX, and Intuit. 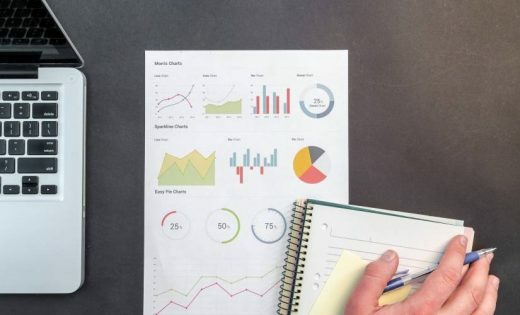 This data typically involves the compilation of financial data for the purpose of presenting the final information in a digestible form for meaningful analysis and interpretation. In the cryptocurrency market, a typical example of aggregated financial data would encompass historical performance of crypto assets, the amount of investment in each asset, corresponding dates and how all the data relates to general market sentiment and major events. Investors furnished with such comprehensive data would be better positioned to make better trades. Ideally, financial data stored on blockchain could be easily aggregated and this should also significantly reduce the cost of accessing trading data. At the moment, SeekingAlpha charges from $19.92 to $29.99 monthly, while TradingView charges from $9.95 to $39.95 per month to access real-time trading data, breaking news and access to unique trading tools. Many retail investors are unable to afford these services or do not feel that access to such info is worth the price as their investing scope may be limited to a particular sector or market and many data providers use the one-size-fits-all approach by providing access with an unnecessarily large swath of data. The benefit of mobile trading platforms like Acorns, Roobee and Stash are Generation Z & Y retail investors have access to accurate trading data and the ability to develop a low-cost diversified portfolio in a range of sectors. To provide credible and transparent investment more investment platforms need to record all the values and transactions on blockchain so no third parties and even founders may change the information. To be capable of making sound investments in each market, an investor would have to make meaning of complex data from different sources, and clearly, this can be a considerable headache for novice investors. Data also shows that the new, younger generation of investors are interested in investing and worried about their long-term financial futures but also increasingly skeptical of banks and Wall Street brokerages. They are quickly overwhelmed by the thought of having to sift through hundreds of indexes and rather than attempting to decipher complex financial data, this group would instead enjoy the simplicity of gamified, transparent, low effort ‘automated’ investing. Eventually, the impact of blockchain-based aggregated data platforms will be more profound in the cryptocurrency market where it is common for various entities to churn out fabricated figures. Replacing misleading crypto performance metrics with blockchain-based aggregated data would give investors a view of the actual state of and fair value of cryptocurrency projects and bring about more transparency and effective investment. Every year an uncountable number of investment offerings are brought to the market, and each provides varying degrees of transparency and often the yield of the asset or investment is not natural for the public to locate. Integrating blockchain technology to financial products managers, transactions and performance outcomes will provide additional transparency. Investor confidence in various financial markets also stems from having access to comprehensive data and investors are likely to be more comfortable investing their funds in markets when they are well informed and knowledgeable. Data shows that retail investors left the cryptocurrency and ICO markets partially due to a lack of transparency and a general mistrust in financial data. The same can be said for traditional finance as many millennials are extremely skeptical of financial institutions for a variety of valid reasons. Retail investors’ confidence in these markets could rise when blockchain-based financial aggregated data is made available to them, and the regained confidence could translate into greater trading volume and the arrival more sophisticated and institutional investors. Furthermore, blockchain technology will ensure that financial service providers carefully vet the investment assets they offer and that they also carefully report performance data. All of these measures will help users get a better understanding of the instruments they are choosing for their portfolio and investing in the best-performing ones. To this day, a lack of transparency represents one of the primary issues complicating the ability of investors to make informed investment decisions. The aggregation of financial data gives investors more purposeful and comprehensive data, and the integration of blockchain technology injects more transparency in the process of providing data. Ultimately, it will be innovative technologies such as these that allocate more power and control to the average investor. Nikolaos Kostopoulos is a Fintech advisor incumbents with a focus on Capital Markets & asset tokenization. Nikolaos is a pioneer in the consensus industry since early 2015. He is an early adopter and enthusiastic evangelist for decentralised technology as a way to improve many aspects of the modern world. His Master’s thesis “Developing an optimal financial and regulatory governance mechanism for cryptocurrencies in the European Union” was among the very first academic papers to argue the need and the method for regulating cryptocurrencies in the European Union. Nikos is a frequent speaker at financial events related to regulation and Security Token Offerings. The post Blockchain Metrics Will Add Transparency to Investing and Better Inform Investors appeared first on ReadWrite.